They may be pro riders, and so unlike you and me, but what their coach has to say about winter training is valuable for all cyclists. So here’s Lotto-Soudal coach Wim Van Hoolst setting out his theory on what to do in winter and what to stay away from. 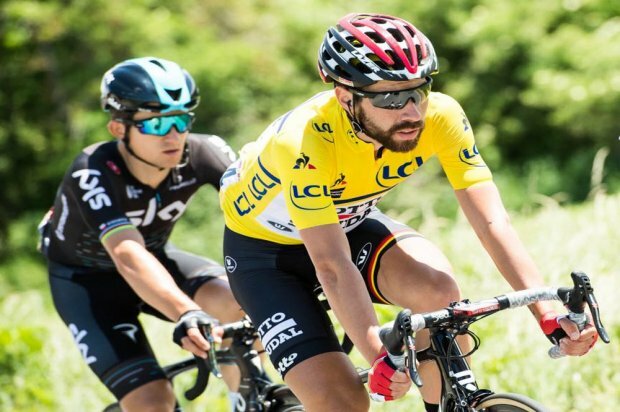 Above, one of his charges Thomas de Gendt in Critérium du Dauphiné yellow. You should spend some of the winter months away from your bike doing other types of training, including jogging, right? Not so, says Lotto-Soudal’s coach Wim Van Hoolst of Energy Lab. He specifically advises against jogging, for most cyclists. It must be kept in mind, of course, that his advice is a description of what his WorldTour riders are doing now, and will be doing in the weeks to come. But he sets out their winter schedule in broad strokes here. And it’s a good guide for all serious cyclists; even if we don’t have the engines or the time to train that the pros do. “Since the second week of November the riders have been training again,” Van Hoolst said as his riders are plugging in mentally again. “During the prior rest period of three to five weeks, they were free and had the time to travel for example. In that way they can also free their minds before they start working towards the new season. “Recently they started to train. Besides riding their bikes, the cyclists must make time for core stability training almost every day. “In consultation with the physical therapists of the team they are prescribed specific exercises. Practising alternative sports is rather limited and depends on the history of the cyclists. “Some of them go for a run but those are the cyclists who used to run or play football. Letting a cyclist run while he normally never runs, is not a good idea because they are likely to get injured. “About half of the cyclists have been doing strength workouts in the gym. Together with the team’s physical therapists, we at Energy Lab also establish a programme for them. “During the first two weeks of the build-up, the amount of hours on the bike are increased and thus the training becomes longer and longer. “The intensity of the training increases gradually. By the end of November, the cyclists start strength training on the rollers and short interval sessions. “As the preparation progresses, the interval training becomes tougher and tougher. Each cyclist has a personal training schedule that we establish together with him. “The training build-up is developed based on their race schedule. In general, it is important to rein in neo-pros and young riders because they want to start training very early to get in shape in time which is a typical trap. “Every day, the cyclists upload their training data on our online training platform. We can check if the prescribed training has actually been carried out. “We get notified when an actual training deviates from a prescribed one. In this case, the riders are contacted by us. “In addition, there is also close contact between the staff themselves. Every rider is part of a little team in which he is supported by a sports director, trainer, doctor and physical therapist. “The training schedules are drawn up for a period of seven to ten days which enables us to constantly monitor and make adjustments if necessary. “On the 22nd of November there is a meeting at Energy Lab in Paal and in Ghent where the cyclists come by for a blood test, a body composition analysis, a consultation with the doctor, a conversation with the sports psychologist and a chat with the trainer.